"A Gamer's Journey: The Definitive History of Shenmue has launched a Kickstarter campaign, and support is pouring in from fans after only the first day! 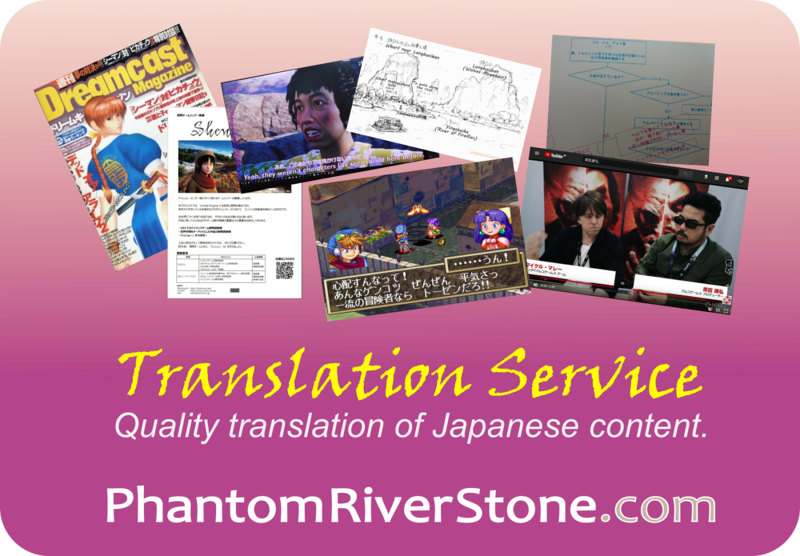 Phantom River Stone gives an overview of the project and campaign. A definitive documentary on the history of the Shenmue franchise is in the making! And now with the launch of its Kickstarter campaign, as fans we have the opportunity to make sure it can achieve everything it set out to do. Then things changed dramatically in 2015 with the stunning announcement of Shenmue III, immediately influencing the documentary's scope and direction. As a result, rework and refilming of interviews to date was needed, as the project could now include the celebratory story of the franchise's continuation thanks to the passion and heartfelt persistence of the fans. Adam teamed up with Fauxpop Media and Definitive Films, who are experienced at making definitive documentaries for other franchises. Past film creations have included "Turtle Power: The Definitive History of the Teenage Mutant Ninja Turtles" and "Power of Greyskull: The Definitive History of He-Man and the Masters of the Universe". 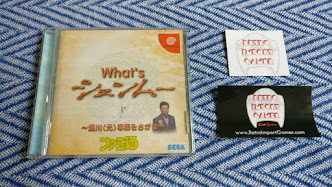 Furthermore, Adam and team also received whole-hearted support and approval for the project from Yu Suzuki and YS Net. Having been entirely self-funded until now, the project has now reached the point where assistance is needed. 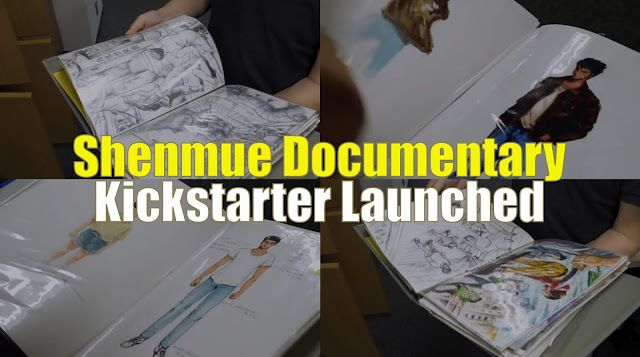 Yesterday, the start of a 30-day Kickstarter campaign was announced, to raise money for a 4-person crew to travel to Japan and capture interviews with Yu Suzuki and Shenmue's creators and trawl through the Shenmue archives. The Kickstarter campaign page also has a great trailer which starts with a scene in a mysterious dimly-lit antique shop with a fantastic original soundtrack. Later in the trailer are clips from interviews taken to date, and even the bonus of a never-before-seen glimpse of an early Shenmue III build in action (Adam made a trip to Japan in 2016 that included a visit to Yu Suzuki's YS Net development studio). 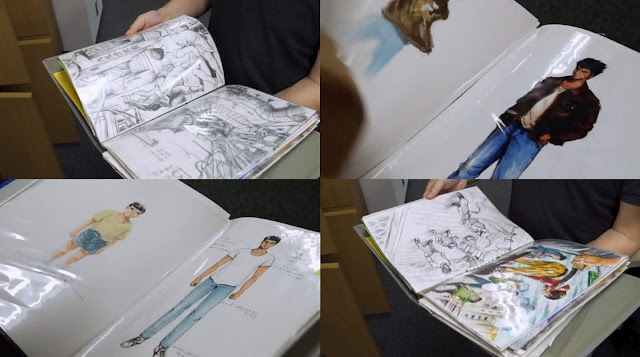 Kickstarter trailer: Shenmue concept art displayed by Yu Suzuki. The documentary will have access to such official Shenmue archives. Kickstarter trailer: early Shenmue III footage from 2016. An additional short documentary, "The Making of Shenmue 3", features as one of the stretch goals for the project. (GIF credit: TheThreeEvils via the Shenmue Dojo forums). 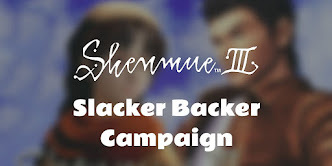 The base target goal is CA$25,000 but there are also a number of exciting stretch goals that include the Making of Shenmue 3, and translation into other languages. The response from fans so far has been astonishing. As of the time of this post, almost 80% of the project's CA$25,000 goal has been reached after just the first day, indicating the immense demand and support for the project. A high-quality and comprehensive documentary about the franchise is something all Shenmue fans have been wishing for. Visit the Kickstarter campaign page now to pre-order your copy of the documentary and more, and lend your support for the project.